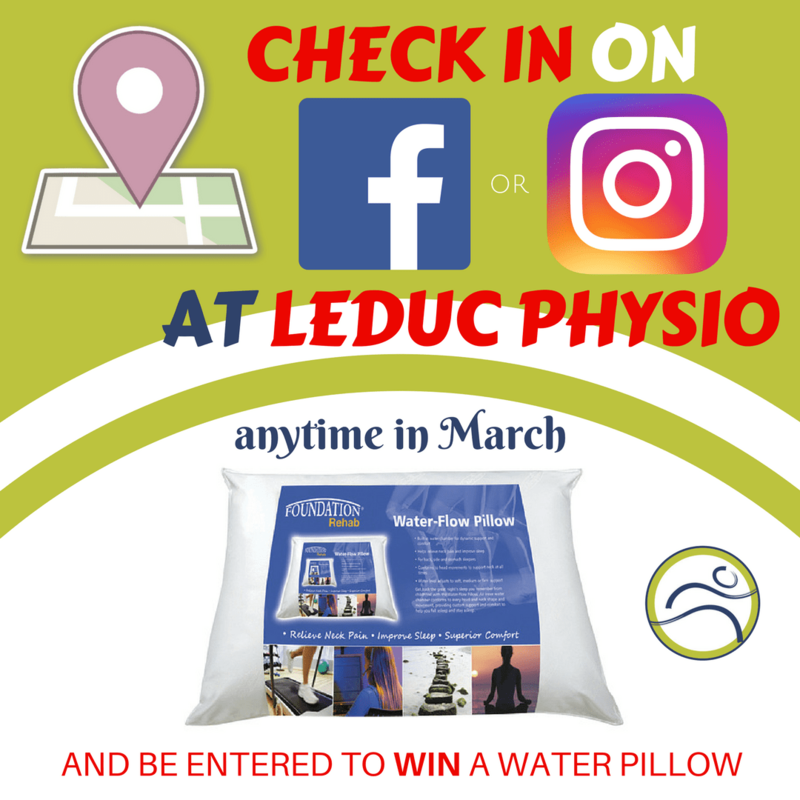 Leduc Physio - Physical Therapy and Massage Therapy ServicesPhysiotherapyCar AccidentsYou could WIN a water pillow! All you have to do is “check in” with us on Facebook, or add our location to your Instagram post anytime in March! movement, providing custom support and comfort to help you fall asleep and stay asleep. 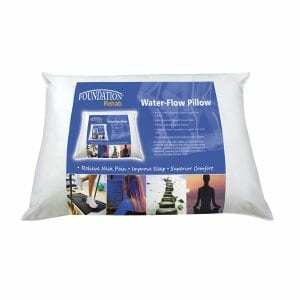 The Foundation Water-Flow Pillow is designed to improve sleep, relieve neck pain with the maximum amount of comfort. Designed for back,side and stomach sleepers.